Since its implementation, our Questions and Answers features have been popular with PissedConsumer users. Customers have left many questions on the company page in addition to the more typical Sling TV reviews. We have compiled the most popular Sling TV consumer questions and dug through the company website to find answers to Sling TV FAQs including the best way to go about canceling the service and getting a refund. What do I need in order to watch Sling TV? How do I cancel my Sling.com subscription? 1. What do I need in order to watch Sling TV? According to the Sling TV FAQs section, in order to watch Sling TV, you will need high-speed internet access (which is not provided by www.sling.com) and a supported device. 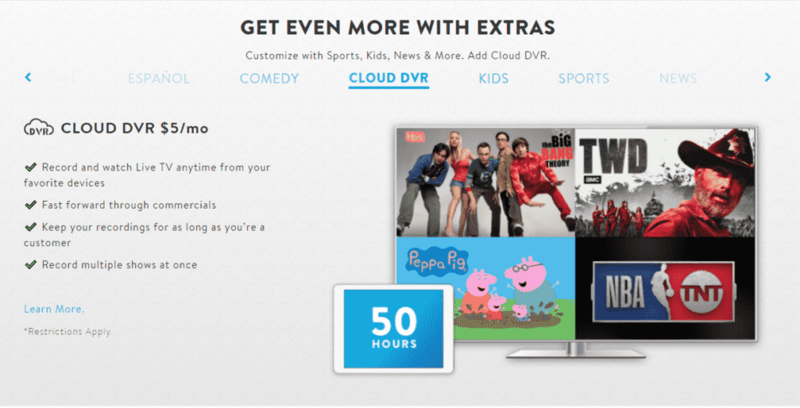 The Sling TV customer help section also includes an offer for a free or discounted device. 2. What channels can I watch on Sling Television? Sling TV offers two primary packages. The Sling Orange channel package is anchored by ESPN and Disney. The channel package also includes other popular channels like CNN, HGTV, The History Channel, and the Food Network. The Sling Blue packages is anchored by FS1, FX, and Bravo. The Sling TV Blue package also includes NBC, HGTV, AMC and many other channels. According to the Channels page on the Sling TV website, both the Sling Orange and the Sling Blue package of channels are $25 per month. If you want both groups of channels, you can arranged a joint package for $40. You have additional options on how to customize your base channel package. For example, you can add the Kids package of channels to gain access to popular children’s television channels like Disney Junior, NickJr, Nicktoons, and Disney XD. There are packages with additional channels for categories like Sports, News, Lifestyle, and Comedy. There are other local channels and premium channels available ala carte. The full list of available channels, additional packages, and the differences between the Orange and the Blue packages are outlined on the Sling TV Channels webpage. 3. How does Sling.com DVR work? Sling TV also offers a DVR or channel recording option through its streaming cable services. The Sling Television DVR option is offered with a $5 monthly fee as an add-on to a Sling TV channel package. Some information is available through the Sling TV Channels page in the carousel of add-ons and additional services or channels. There is a separate page of additional information and restrictions about Sling TV DVR. 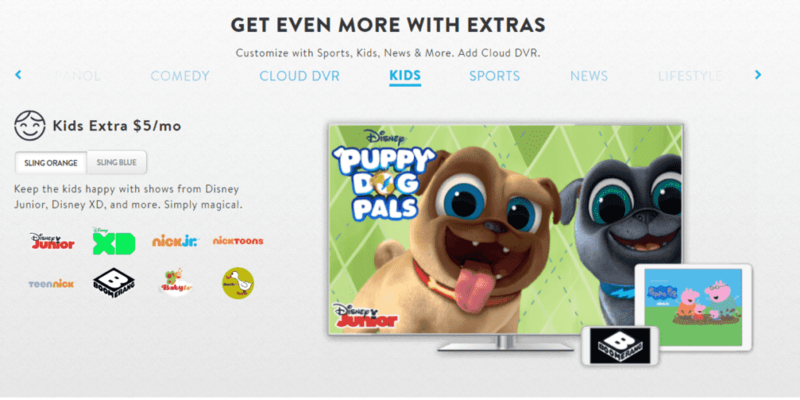 The DVR package is not available on the Xfinity X1 platform and many popular channels including Disney, ESPN lineups as well as On-Demand local channels will not record through the online DVR. They are restricted. Sling TV also notes that their policy about DVR recordings can change at all time without notice. The customer says that his DVR “never records as it's supposed to....worthless service for an extra $5/mo…” It is unclear if the Champions League game the Sling TV customer was trying to record might be on one of the ESPN channels with restricted recording. 4. How can I contact Sling TV customer service? Sling TV provides a comprehensive Sling TV customer Help Center online through the company website to answer consumers’ questions. There is a list of specific issues to help customers resolve certain situations without contacting the company. At the bottom of the webpage, there is a link to the Sling TV customer service Contact Us page with additional information about how to speak to someone at the company to find other Sling TV answers. The Contact Page on the website does not have a Sling TV phone number or address listed but does have links to social networks where customers can find support as well as a chat feature. Support is provided through Facebook Messenger and Twitter as well as through a website-based chat feature should there be other Sling TV consumer questions. While the contact page does not list a Sling TV customer service phone number or address for the company, you can find this information on PissedConsumer’s Sling TV Customer Service page. The phone number, in particular, might be helpful as you try to resolve questions or reach out to a person who can answer your questions. 5. How do I cancel my www.sling.com subscription? There is a full page of information including screenshots and steps broken down for customers on www.sling.com to help them cancel their account. Log into your Sling TV account page. Click the Cancel Subscription button you will find on your account page. Deny the retention offer they will ask you about. Leave feedback as to why you are leaving the company. Confirm again that you would like to cancel. When you have finished canceling your account, you will see a confirmation screen. 6. How can I get a refund from Sling TV? The issue of a refund is addressed in a few places on www.sling.com. The instructions for canceling your account tell customers what to expect in terms of billing after they terminate their subscription. The website states that they do not provide refunds for prepaid or partial months of service. If you cancel before the end of your billing period or a prepaid period, Sling TV indicates that you will continue to be billed without refund until the designated end period. On the same page, a drop box asked about accounts that were billed after a subscription ended. These instructions ask customers to use Sling TV contact info to have an agent look into the billing issue. In the Fees and Charges section, Sling Television states that they charge a monthly fee in advance for the Subscription. They also state that they may “change the amount of or basis for determining any fees or charges…as determined by us.” All charges are billed to a credit or debit card registered with the account. In short, Sling TV has laid out careful legal terms that they do not owe customers any refunds for partial use of the Sling Television service unless they feel like it. Did you not find your question answered here? - Check out the Sling TV Questions and Answers page to see more information and user experience. - Leave a review to reach out to Sling TV customer help through our site. - Use our Sling TV Customer Support information to contact the company directly by phone or email.